Baby may not be able to talk but this bodysuit says a lot. The cute, fun saying makes it perfect for photo opps. 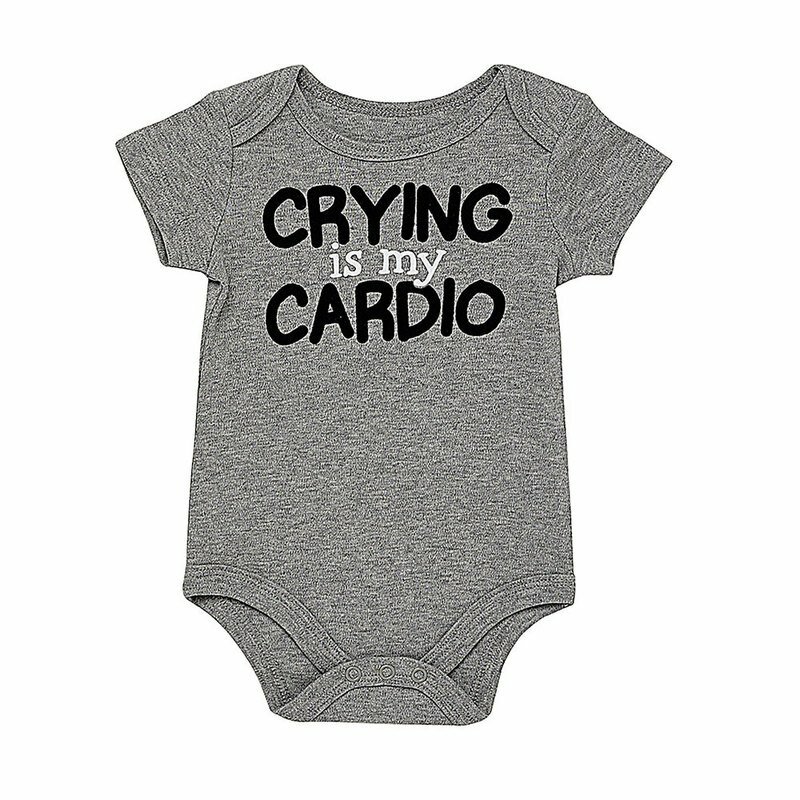 The attitude bodysuit features a black and white "Crying Is My Cardio" design. The comfortable, cotton one piece has lap shoulders and snaps for easy changes. Wear alone or pair with a bottom for a complete outfit.